There’s a problem in writing about Newfoundland: It’s an unassuming place, with few of the Michelin green guide must-see attractions. Some of the best sights are poorly marked or hard to reach. There are little-known attractions here that rival the most famous sites in the world, and some are unique to the area. I keep experiencing what I think is the highlight of the trip, only to have another even more engaging experience. A recent one was at Mistaken Point. But first, a little background: In 1868, the Scottish geologist Alexander Murray discovered unusual an fossil now called Aspidella terranovica. Four years later, Elkanah Billings found these at the corner of Duckworth and Holloway Streets, where they can still be seen today, unmarked and unprotected in the back of a parking lot. The fossils are in a Precambrian outcrop of black shale. This was deemed impossible. Scientists believed that the Precambrian period was the time before the Cambrian explosion of multicellular life on earth. There should be only microscopic bacteria, fungi and the like. Others claimed that these were inorganic concretions, gas escape bubbles, or fakes planted by God to mislead those with little faith. The doubts continued until mid 20th century. Then, Reg Sprigg discovered an assemblage of fossils in the Ediacara Hills of South Australia, which confirmed the existence of multi-celled organisms on Earth between 635 million and 542 million years ago. They’re now found in many parts of the world, especially in now-dispersed regions (England, FLorida, NW Africa, Newfoundland) that were once part of the Avalonia terrane. 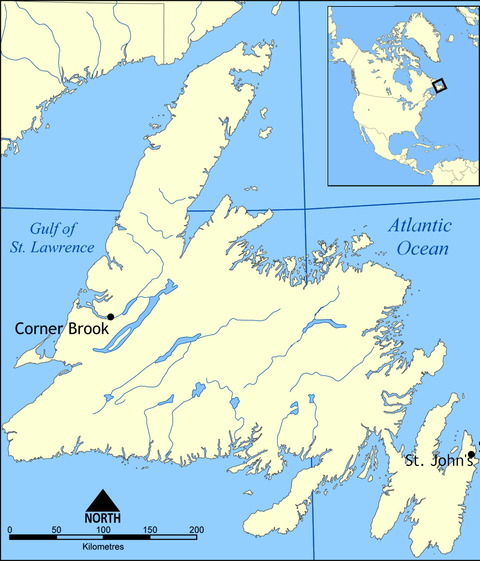 Some of the best examples of these fossils are in Newfoundland, including at Port Union and St. John’s. These discoveries answered a question that Darwin raised in On the Origin of Species: Why didn’t the fossil record show more experiments with multicellular life prior to the Cambrian explosion? It now appears that the Avalon explosion was one such, with a variety of diverse and fascinating plants and animals. In 1967, graduate student S. B. Misra, discovered and documented similar fossils found in great numbers on exposed rock surfaces at Mistaken Point along the southeasternmost coast of the Avalon Peninsula. Mistaken Point is so named because of the difficulty of navigating in the treacherous waters surrounding the point, which led some navigators to turn north too soon, when attempting to go around the peninsula. I’m not a fan of guided tours, but I’m glad that the ecological reserve at Mistaken Point now requires that. Fossils that have lasted 565 million years can be destroyed in a weekend by humans. We signed up for a tour that lasted most of the afternoon. After seeing the fossils, we went on to the nearby eastern point of Cape Race, which has one of the most powerful and important lighthouses in the world. It’s also the site of the Marconi wireless station that received the first distress message from the Titanic. You can see a bit of our tour in the slides below. We were given a good introduction to the natural history of the area on the 45-minute walk out across hyper-oceanic barrens. We had to wear booties to avoid damaging the fossils. We were able to explore shelves which had lain at the bottom of the ocean over 565 million years ago, populated by creatures that have never been seen alive. This whole experience was one of the highlights of our trip. This entry was posted in Cape Cod and tagged Ediacaran, fossil, fractal, geology, Newfoundland, NL. Bookmark the permalink.